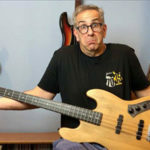 This week’s interview, with longtime Billy Idol bassist Larry Seymour, got me thinking about what a joy it is to play the bass, and how we bass players enthusiastically embrace the joyous responsibility of laying down the groove, satisfying a vital role in the band, and making the music feel good. 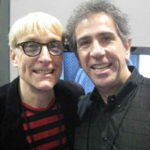 Throughout his career, Larry loved having the opportunity to travel the world with a world-renowned celebrity rocker, making his living playing the bass. After the Billy Idol gig, Larry sought additional ways of expressing his love of music. A true musician at heart, he embarked upon a film scoring career, in which he also attained considerable notoriety. But something was missing. He found himself adhering to a different kind of schedule, with different deadlines, disciplines, pressures and such, all of which made Larry realize how much he missed the previous chapter in his musical journey. He found himself longing to get back to playing the bass. 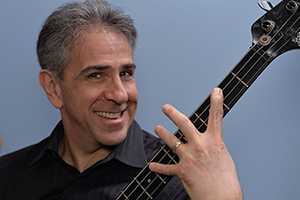 In other interviews, I’ve talked with players like Dann Glenn and Tim Starace, who recounted how they also found themselves in circumstances where they had to give up the bass, temporarily, each for different reasons. Ultimately, as luck would have it, they found themselves, once again, back at the low end, laying down the groove for the band. There’s just something about the bass. As bass players, we feel a certain calling. The reasons for a bass hiatus can include anything from job schedules, career obligations, health issues, family, or any number of other life-altering situations. 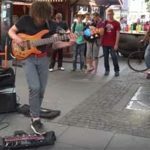 Sometimes, though, after a prolonged period of bass deficiency syndrome, an opportunity presents itself, often unexpectedly, and once again, there is the bass player, supplying the ever-needed role of making the music groove. 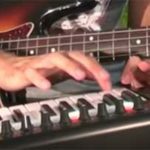 Don’t forget how important the role of the bassist is, and what an important job we have. Imagine what the band would sound like without a bass player. Think about the joy it brings us, the release, the outlet. The fact that you’re reading this means you must have a certain amount of appreciation for the bass. 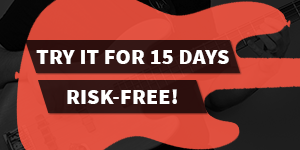 As a bass player, I assume you want to become an even better bass player. Think about which bass players you admire, and which ones inspire you. What techniques do you want to master? What styles do you like to play that make you feel especially good? If that kind of thinking gets you excited, well then, you’re one of us! If life requires you to take a break from the bass, for whatever length of time, I trust it will be for a good reason. Chances are, though, you’ll want to come back, and I hope you do. The band needs you. And it’s quite likely you need the band too. Have a thought on the subject? Leave a comment below and let me know what you think. In the meantime, check out my interview with Larry here.